Susan Jenkins, a rural resident living in western North Carolina, moved to the area to help the Eastern Band of the Cherokee Indians (EBCI) start the Cherokee Preservation Foundation whose mission is to enhance the quality of life of EBCI members and strengthen western North Carolina. For over 10 years, she served as executive director where she played the lead role in developing the foundation’s vision, structure, programming, community partnerships and staff. During her tenure, Cherokee Preservation Foundation made over 700 grants that are the basis of an investment valued at over $60 million, with an impact of over $150 million to the Qualla Boundary and the western North Carolina region. Currently, she serves on the Native Arts and Culture Foundation Board of Trustees, Community Foundation of Western North Carolina Board of Directors, Western Carolina University’s (WCU) Foundation Board of Directors, Lake Junaluska Assembly Board of Trustees, WCU College of Business Advisory Council and several other local nonprofit boards and committees, and is an active member of Native Americans in Philanthropy. Jenkins grew up in a rural setting and has worked in communities of color in the State of Georgia, the Southeast and in the West Africa countries of Mali and Burkino Faso. After 20 years of community work, she served as program officer at the W.K. 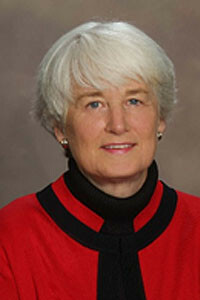 Kellogg Foundation, where she oversaw a multi-million-dollar portfolio focused on rural development and served as senior program officer at the Hitachi Foundation where her emphasis was on corporate citizenship before finishing her career as founding executive director of the Cherokee Preservation Foundation. An enrolled member of the Choctaw Nation, Jenkins holds a doctorate in sociology from the University of Georgia.